It's Christmas Eve; Amazo Towers is silent (save for the leak flooding the basement car park), probably because this article was written last week before everyone buggered off for the break. But wait just one moment before you stagger back to the TV/pub/wife's loving arms/wife's glowering stare, I have a story about a boat. Yes, I know right now this seems highly ironic, given that the UK is experiencing non-stop rain showers and flood warnings, but this is no ordinary boat, as we shall see. 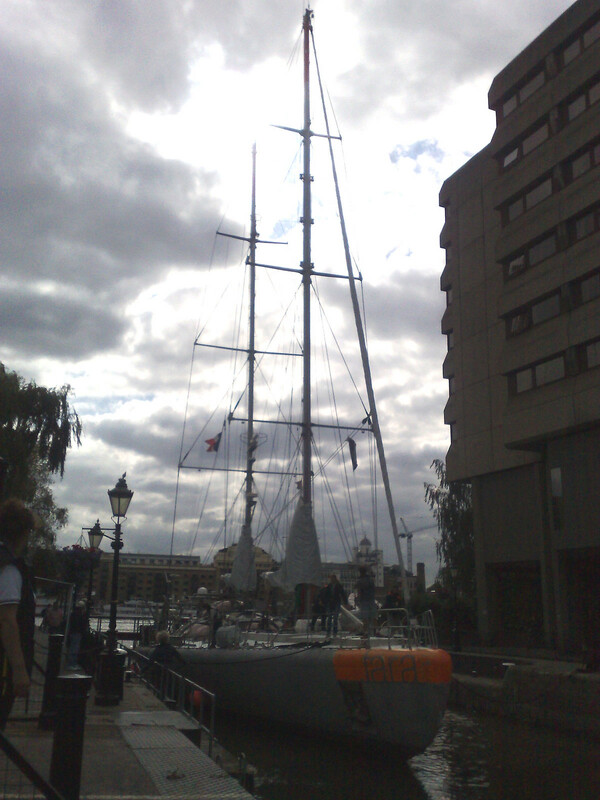 I wasn't even aware of this craft's existence until myself and Lady Amazo (bows head) saw it honing into view at St Katharine's Dock back in September. Tara is a schooner with an extraordinary history. She was purpose-built for polar expeditions as Antarctica in 1989 by Dr Jean-Louis Étienne, with a specially designed aluminium hull curved so that the ice packs can’t crush it to smithereens like Shackleton’s ill-fated Endurance. Later, she was bought by Sir Peter Blake after he retired from racing for his exploration tours around the world, and renamed Seamaster. It was his mothership in his work for the United Nations Environment Programme, and it's on-board this ship that he was murdered by pirates in the Amazon in 2001, a tragic and pointless end for one of the most talented yachtsmen of our times. 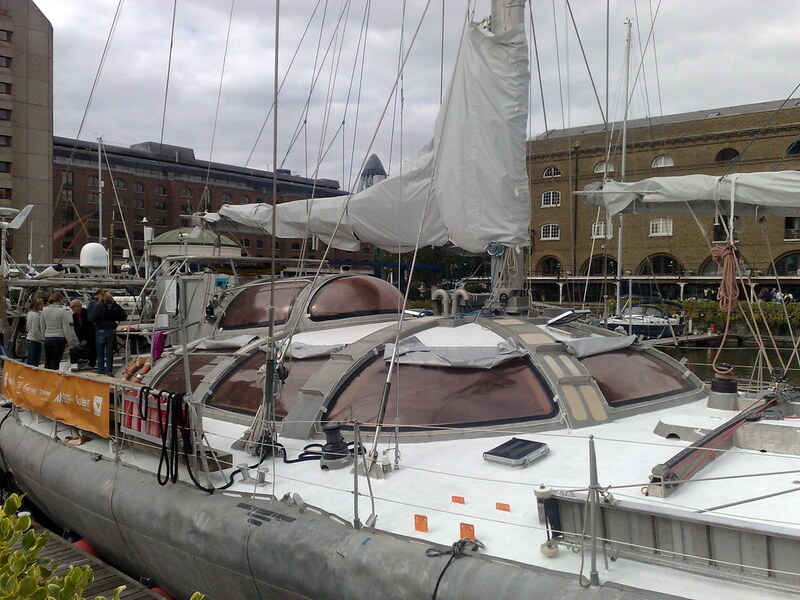 It was then bought and renamed Tara and put to service for Tara Expeditions for various expeditions. One of these was the pilot project Damocles (Arctic Modelling and Observing developing Capabilities for Long-term Environmental Studies ) that was part of Tara Arctic 2007-2008. This project aimed to observe, understand and quantify climate change in the Arctic. She spent over 500 days trapped in the Arctic ice, drifting with the icepack to measure global warming. Today she’s on a round-the-world trip set to take her pretty much everywhere, that will end just about now. 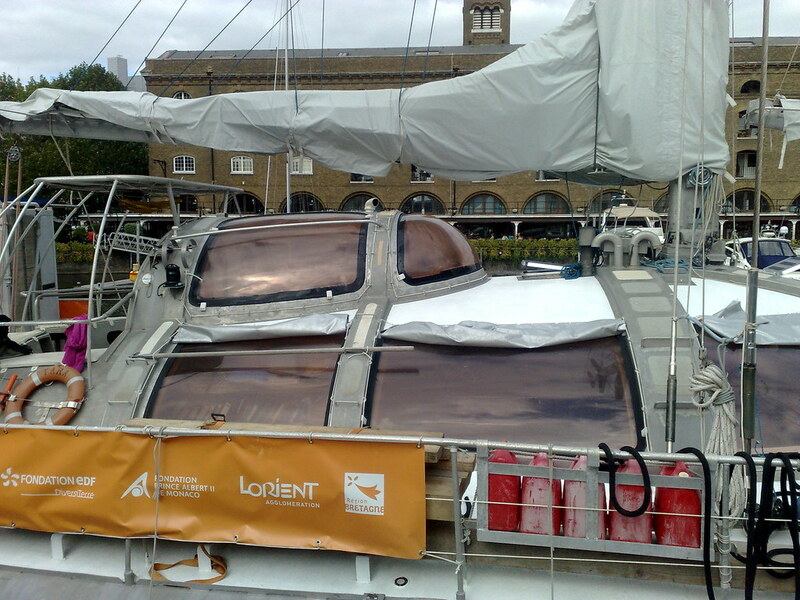 After a few months of stopovers in French ports, in May 2013 Tara will attempt to go through the Arctic Ocean by the north-west and north-east passages, ice permitting. 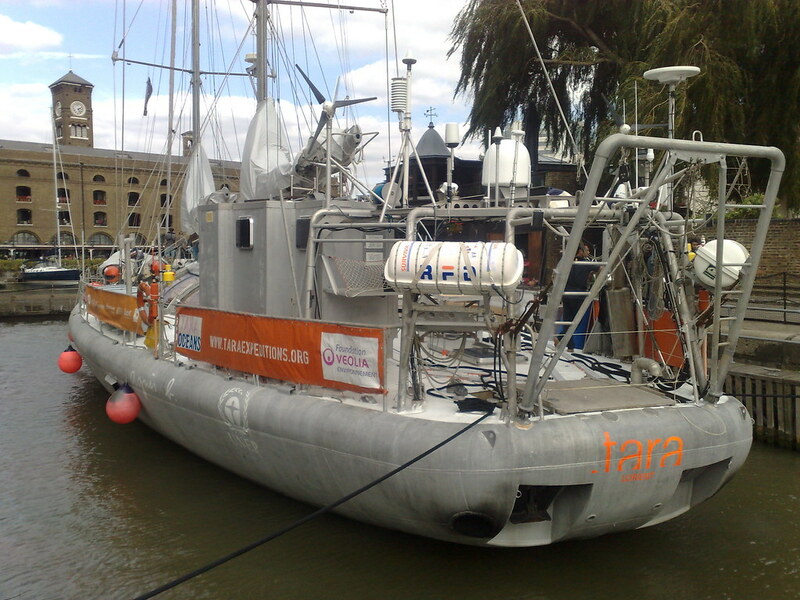 In 2014, Tara will continue her voyage to the Pacific coral reefs with a team of scientists, sailors and film-makers. 'The Tara Expeditions project is affiliated to the United Nations Programme for the Environment. Through the work of scientists and also artists, we are observing our changing environment, and learning more about the complex and fragile ecosystem called Earth. Thanks to the initiative of the French designer agnès b. and Etienne Bourgois, Tara has accomplished 8 successful expeditions – to Greenland, Antarctica, Patagonia, southern Georgia, the Arctic and all over the world with the latest expedition Tara Oceans. 'In May 2013 we will head for the Great North. Tara will attempt to go through the Arctic Ocean by the northwest and northeast passages, if the ice pack permits this. Most of the scientists and institutions already participating in Tara Oceans will continue working with us, studying the polar marine ecosystem and completing the research done in 2009. This will also be the occasion to add new research programs specific to the region, concerning plastic particles and traces of pollution. Of course we will share this adventure, and all newsworthy subjects concerning this fascinating and difficult region of the globe. 2014 seems far off, but Tara will continue her voyage to the Pacific coral reefs with a team of scientists, sailors and filmmakers. We are already defining the contours of this expedition with director Luc Jacquet and diver/photographer Laurent Ballesta. 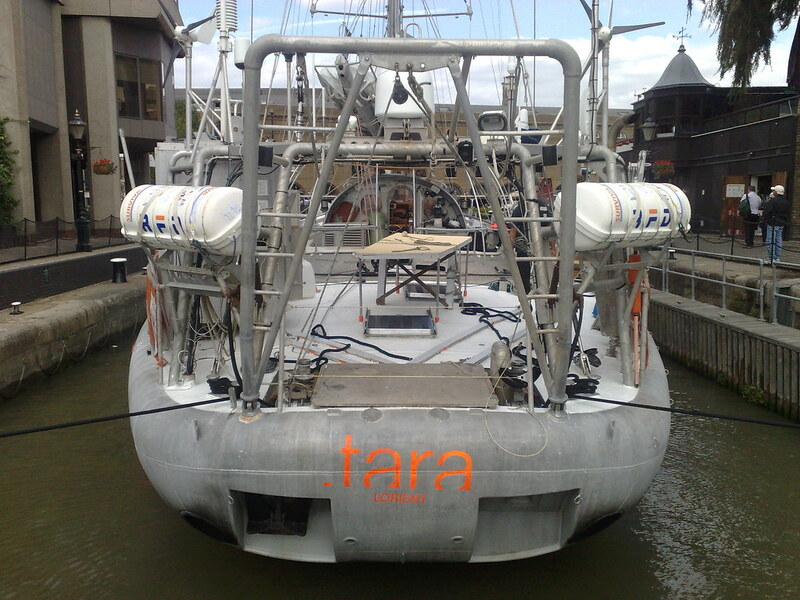 Tara was manufactured by Societe Francaise De Construction Naval (Sfcn) and conceived by Luc Bouvet and Olivier Petit. With an overall length of 117.8 feet (35.9 metres) and a width of 32.3 feet (9.85 metres), Tara has room for 12 passengers and 6 crew. 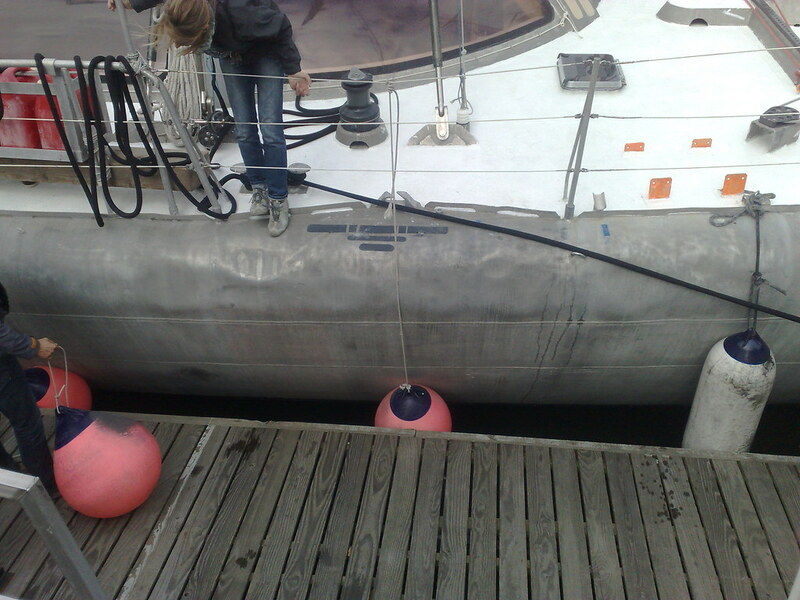 She has a deep draught (the vertical distance between the waterline and the keel [bottom of the hull]) for a schooner of 11.5ft (3.5m) (11.5ft) and weighs 287 tonnes (gross) and 200 tonnes (net). She was officially launched in Villeneuve-La-Garenne in 1989 as Uap-Antarctica; she was renamed Seamaster after Sir Peter Blake bought her in 1996 and had a major overhaul and refit in 2000. 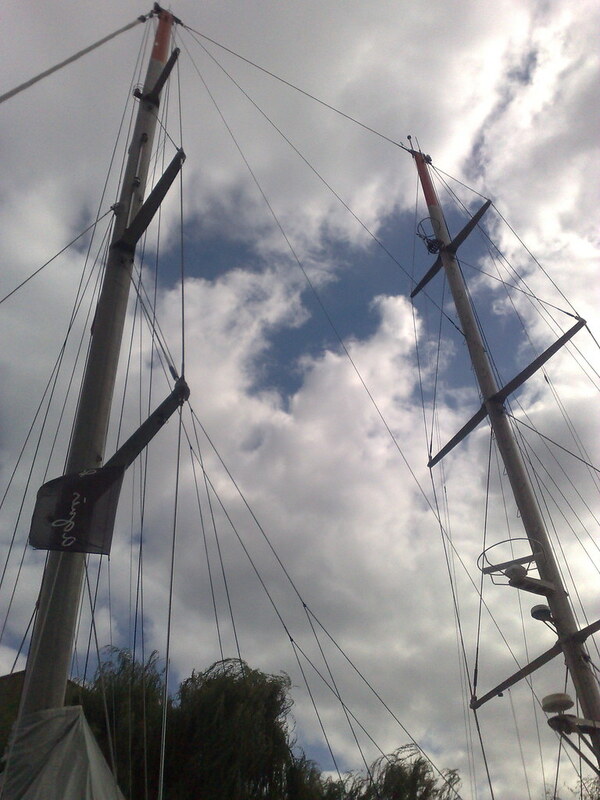 She was re-christened Tara after Etienne Bourgois, (the boss of the clothing and cosmetics company agnes b.) bought her in 2003. Her aluminium construction and deep draught determines the type of harbours she can enter, due to needing a specific depth. 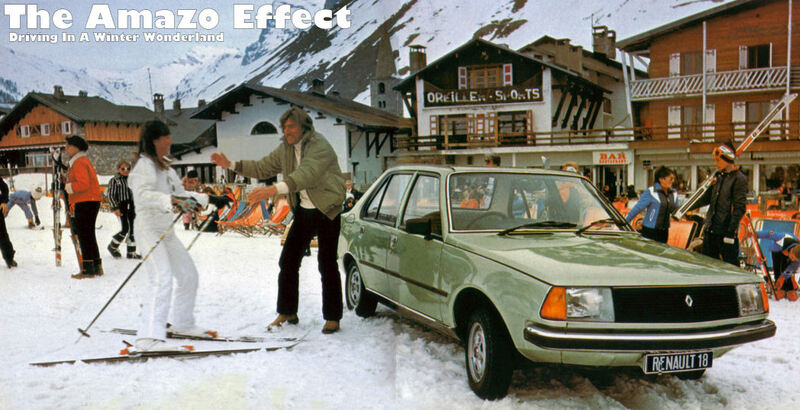 Powered by twin Deutz-MWM 15.9 litre V8 turbo-diesel engines producing approx. 255bhp each (so a combined output of 510bhp), Tara is propelled by twin screw propellers and can attain a high speed of 12 knots, cruising at a speed of 10 nautical miles per hour. 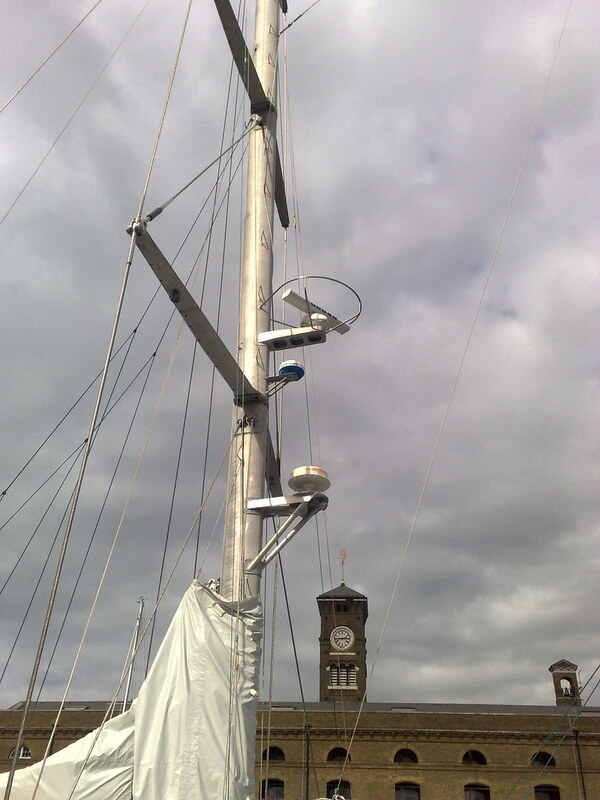 She also has sails to help conserve fuel; twin masts give a sail area of 600 Metres². Lamborghini Countach Turbo S - Follia Turbo!